Hyundai i20 Running Costs, MPG, Economy, Reliability, Safety | What Car? Those buying on finance will find dealer deposit contributions or interest-free deals on offer, so monthly costs will be very competitive. If you’re buying outright, then our favourite version of the i20 is priced very similarly to the frontrunners in the class, although you’ll haggle less off the i20 than you will for rivals from Ford or Skoda. The i20’s residual values are roughly on a par with key competitors’, in part thanks to the standard five-year warranty. The inefficiency of the 1.2 engine makes it a no-go for company car buyers, so the 1.0 is a much better bet. Fuel economy is fairly good. In our real-world tests, the 83bhp 1.2 returned 42.3mpg. The 118bhp 1.0 did better, managing 50.3mpg, which is roughly what you would hope to get from its rivals; however, its CO2 emissions aren’t particularly impressive in the class. There are well-priced three and five-year fixed servicing plans available to complement the five years’ free roadside assistance. Entry-level S trim is fairly well equipped, with a 7.0in infotainment system, Bluetooth, air-con and automatic headlights, but it only gets steel wheels. We would recommend stepping up to SE, which gets alloy wheels, cruise control, high-beam assist, a variable boot floor, a better sound system, rear parking sensors and a leather-effect multi-function steering wheel. In addition, SE gets useful safety equipment such as automatic emergency braking. 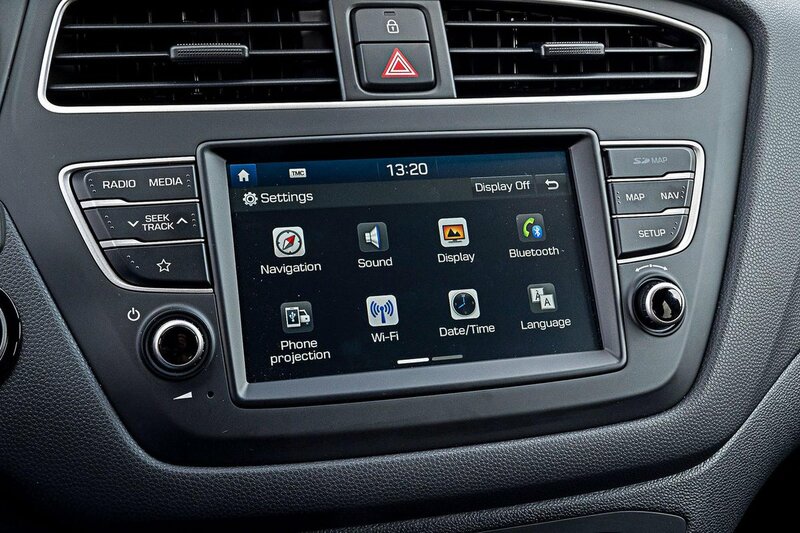 Premium Nav adds various luxuries, including front parking sensors, climate control, sat-nav, automatic wipers and a smartphone docking station. Meanwhile, range-topping Premium Nav SE adds chrome exterior trim highlights and a sunroof, as well as heated seats and a heated steering wheel — but it’s expensive. 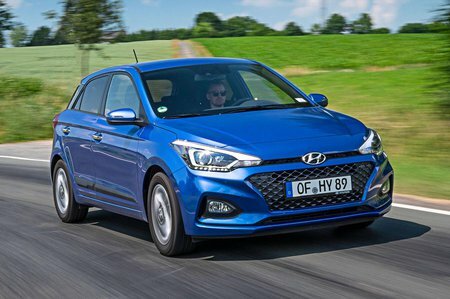 Hyundai finished an impressive seventh place in our list of 32 manufacturers in our reliability survey, while the i20 finished third in its class behind only the Honda Jazz and Toyota Yaris. Still, if anything happens to go wrong, the standard five-year, unlimited-mileage warranty and five-year UK roadside assistance pack should cover it. If the car breaks down and can’t be fixed at the nearest dealer, Hyundai will even organise onward travel. Only Kia offers a longer warranty (at seven years), and it only includes one year’s roadside assistance. All i20 models get six airbags, including two that cover the side windows in the front and back. The usual traction and stability controls are also included, as is a tyre pressure monitoring system that – on Premium Nav and upwards – will even display the pressure of each tyre. A spacesaver tyre is included on all but S trims. A good range of safety equipment is available, but not on entry-level S trim. 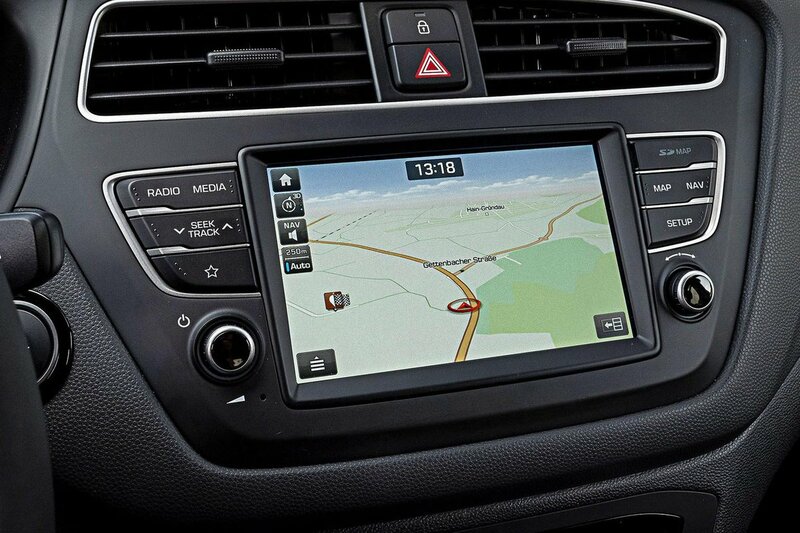 Automatic emergency braking is available from SE trim and above, as is lane-keep assist and a driver attention alert. A four-star result in the Euro NCAP crash test shows that the i20 is competitive with its class rivals, although not up there with the likes of the Volkswagen Polo. A weak result for rear passenger whiplash lets it down slightly.